Nueva York (1613 – 1945) explores how New York's long and deep involvement with Spain and Latin America has affected virtually every aspect of the city's development, from commerce, manufacturing and transportation to communications, entertainment and the arts. 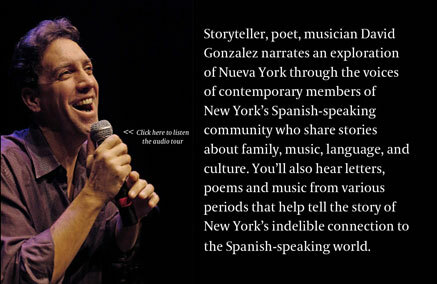 Bringing together New York's oldest museum (New-York Historical Society) and its leading Latino cultural institution (El Museo del Barrio), Nueva York spans more than three centuries of history: from the founding of New Amsterdam in the 1600s to the present day, as represented by a specially commissioned documentary by award-winning filmmaker Ric Burns. Attention New York City High School Students! contribute to a richer understanding of our city and its cultural history. We want to hear YOUR story.